1 bomb every 8 minutes, for 10 years – snackettes. 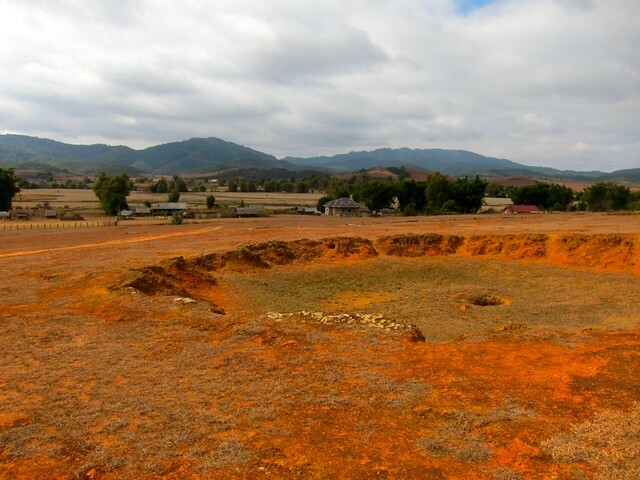 Phonsavan, Laos, famed home of the mysterious UNESCO-protected site, the Plain of Jars, and [in]famed epicenter of one of the most focused, sustained bombing campaigns that has ever occurred on our dear Earth. It’s commonly known that in the late 1960s and 70s, the USA was heavily involved in combat in Vietnam, but a significant facet of our military efforts also took place in eastern Laos, largely due to its position along the “Ho Chi Minh” Trail, a major transport and supply route for communist North Vietnamese forces. 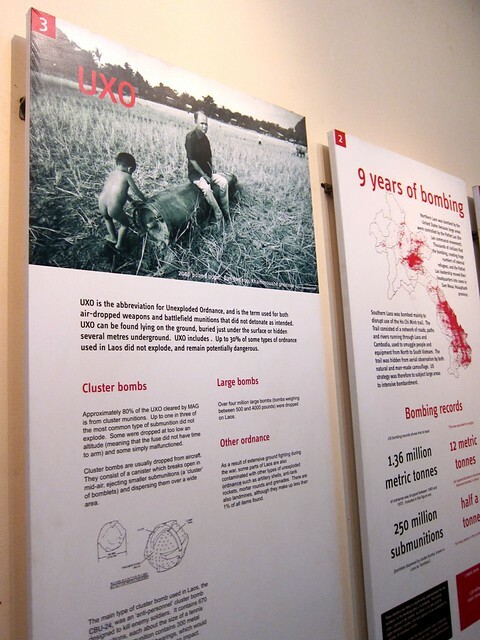 During the years 1963 to 1973, over 2 million tons of bombs were dropped in the Phonsavan area, yielding the statistic common to most pamphlets you’ll find on the topic: 1 bomb was dropped on this province every 8 minutes for 10 years. This period is unofficially known to many as the “Secret War,” perhaps appropriately due to a general lack of awareness among Americans (including myself) for what took place here, but mostly due to claims that the US military conducted controversial missions behind the backs of congress and US citizens, and never officially owned up to the extent of their destruction in Laos until many years afterward (many say they’ve yet to do so). Researching the issues of this period myself yields piles of complicated, contradicting information: from CIA.gov essays that focus on our humanitarian efforts at the time, to news reports of our military carelessly and relentlessly “disposing their unused bombs” over Laos in order to land at the airforce bases safely. It’s hard to know what really happened; perhaps both sides of the story are framed by selective memory, and the obfuscated truth lies somewhere in the middle. In the end, the extent of what was kept secret, or even who is to blame has become less important in Phonsavan. Wars are always messy, and seemingly more difficult to justify or even understand after the dust has settled. What’s more critical about this particular region is the message it sends about the long-lasting effects of war on civilian life: today, almost 40 years after the last war planes passed overhead, their bombs continue to shape – and destroy – the everyday family life of the Lao people. 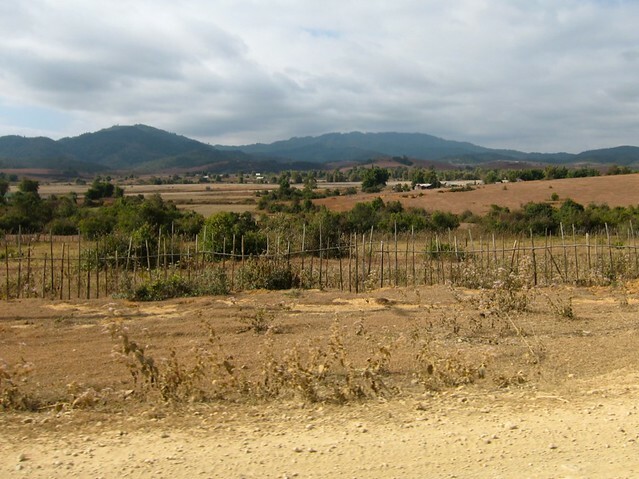 A large percentage of the bombs dropped on this area were “Cluster” bombs, which resemble a 6 foot long missile and hold 300 or so handheld-size bombs, known to locals as “bombies,” or more formally as UXO (Unexploded Ordnance). Upon release, the cluster bomb’s shell separates and its bombies are released to spread across wide territory and explode on their own, firing miniature ball bearings up to 200 meters in all directions when they hit the ground. 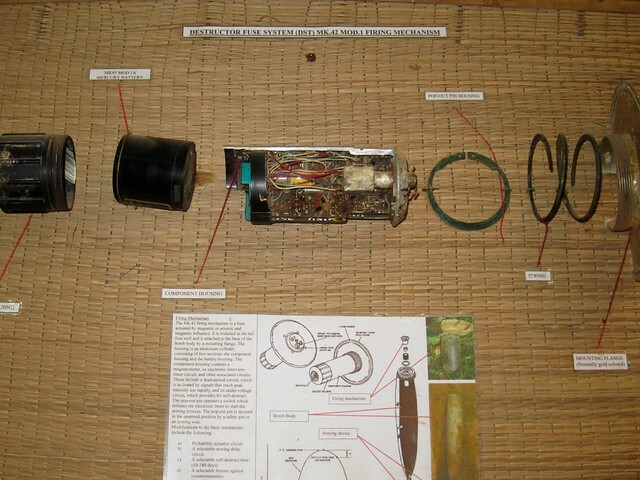 It’s estimated that more than 30% of these bombies never detonated during combat, and they continue to litter the Laos rice fields, jungles, and even people’s back yards. Rather than a mere deterrent, the bombies were designed to kill, which helps explain the disproportionate number of accidental deaths per year throughout Laos (30% of deaths are from UXO, 40% of those are children), an invisible contrast to the limbless-but-alive land mine victims we saw throughout Cambodia. 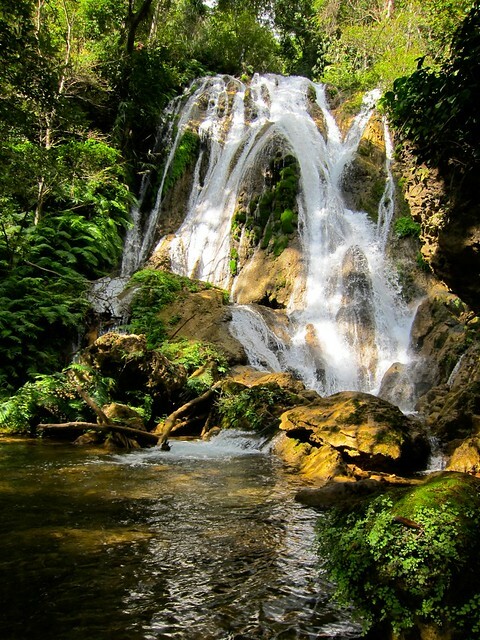 In essence, it’s both the historic and the present that attracts people to this region of Laos. As Americans, we felt particularly drawn – obligated even – to see first-hand the ongoing effects of our country’s past conflicts, even if it all occurred before we were born. As our 8-hour winding bus ride from Vang Vieng approached Xieng Khouang province, we were immediately struck by the presence of war. Cluster bomb casings and full-sized missiles leaned against houses and sheds along the sides of the dusty plains highway, “Made in USA” striped down the sides. 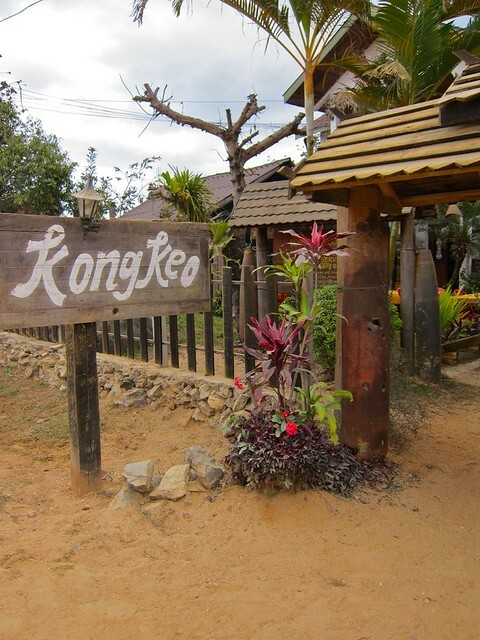 Our bus dropped us in front of the guesthouse at which we’d planned to stay, Kong Keo, which had its share of metal as well. For a place still dealing with the effects of our military today, we were a little uncomfortable at first answering the common guesthouse question, “So, where are you from?” Our worries were unfounded. Generations have passed, and grudges have loosened. “Oh, America! Barack Obama, yes?,” we’d hear with a big smile. Even for those who lived through those brutal times, the capacity to forgive and move on is touching. We booked a tour of the area for the following day with our hosts at Kong Keo, and set off to see downtown Phonsavan. There, we found many of the staples we’ve enjoyed about Laos… the spicy noodle soup shops, the fried doughnut stands, the fresh markets… but more interestingly, a number of places dedicated to bomb cleanup, and educating locals of the dangers in their own back yards. We stopped in the local office of MAG, an international organization we first encountered in Cambodia who leads the UXO cleanup efforts throughout the fields in Phonsavan. Their office had many exhibits providing sobering details of the problems the UXO have introduced, and we stayed to watch a documentary detailing the challenges that MAG faces. Laos is one of the poorest countries in the world, and much of its population continues to eek out a living through farming of rice and other natural products. 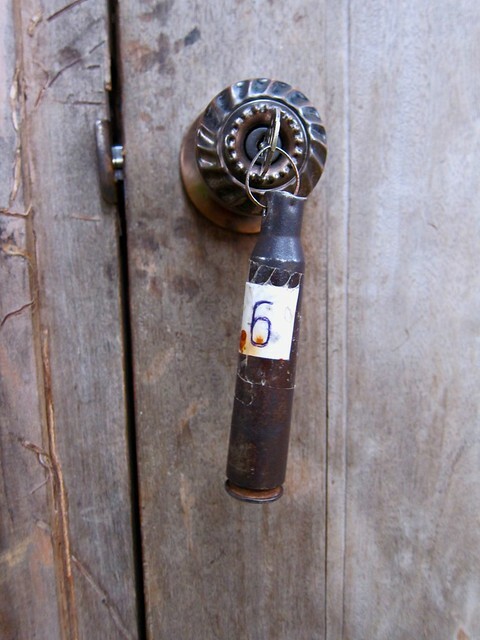 Farmers have found that they can make nearly a week’s wage by selling the scrap metal from UXO that they find buried in their fields, or in nearby jungles, so they – and heartbreakingly, their children – bring cheap and unreliable metal detectors out on patrol to collect metal, and carefully bring it back home to disarm using household tools. Not surprisingly, many of these missions result in tragedy. MAG dedicates a great deal of effort in outreach and education, but it’s a hard sell against a well-known easy buck. The next morning, we were up early to meet our guide, Sang, a Phonsavan local with great knowledge of the area. On the day’s agenda was a mixture of activities and sights that make Phonsavan what it is today. We started our tour at the local fresh market, where we collected a picnic for ourselves for later. Alongside the usual fresh market goods, we found a smattering of fruits, snacks, and candy unique to that region of Laos, and even some very wild game. Our next stop was an area close to where Sang grew up, a field that MAG recently cleared of all UXO that was dotted with massive bomb craters from the war. Here, Sang told us that as a child, he and his friends would collect “bombies”, duck down into a crater, and toss them out the top like a grenade, trying to find the ones that make the loudest sound. From there we drove to a nearby village, given the nickname “bomb village” for its reuse of artillery for building their homes, tools, and pretty much everything else. It’s difficult to describe the feeling of seeing what people will do to get by in low-income settings – both inspiring in their resourcefulness, and depressing knowing how far they have to go. An example of the former: this planter, bearing resemblance to the carnation in the gun barrel images of the 1960’s. For a softer side of Phonsavan, Sang next led us on a long trek from “bomb village” through some hiking trails that he loves to show his patrons. Sang is quite proud of his hometown, and his favorite places to visit exhibit the beauty of the area (rather than the sad parts), which are reason enough to visit, yet left out of most every other tour agenda in the area. 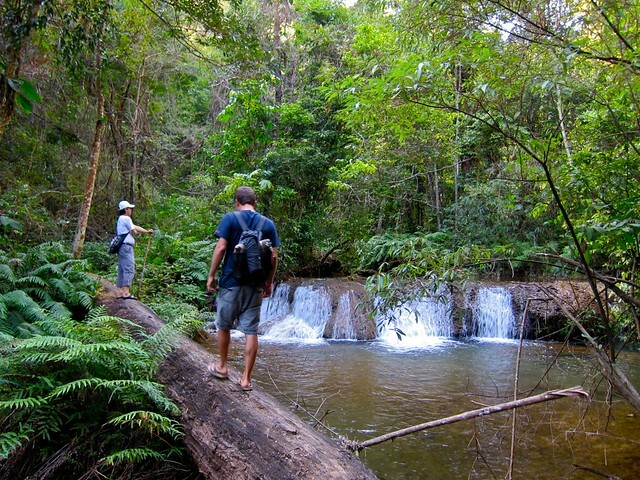 A long winding jungle trek led us to our afternoon lunch spot, the tallest of a series of waterfall tiers, with nobody around except for us. After lunch, we headed straight for the falls, where Sang led us on a challenging climb through and over the riverbeds, and up the center of cascades. Every 5 minutes of work awarded us a with a new, entirely different waterfall, and this went on for over an hour. Midway up the final falls, our guide, Sang. 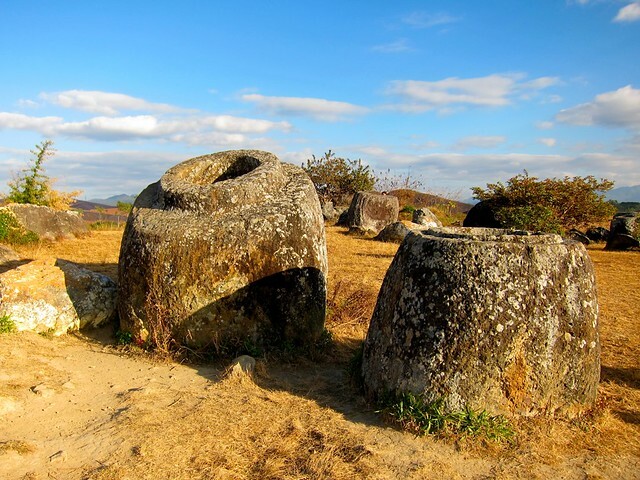 The last stop on our Phonsavan agenda was again, uplifting: the Plain of Jars, a Stonehenge-esque prehistoric site, now preserved on the UNESCO World Heritage list alongside the likes of Machu Picchu. We visited Site 1 of several different jar sites, which contains a scatter of hundreds of jars across a hillside (there were over 360 jars at Site 1 alone). Little is known about the jars. Each of them is carved from rock quarried 40 kilometers from the sites, and they are of varied size, some as tall as 6 or 7 feet! There are many theories on their purpose, from funerary casks, to musical drums (okay, that one was ours). According to Sang, most locals like to believe the jars would have been used for storing rice wine, but until UNESCO comes back with a definitive study, the jury is out. Today, many of the jars are in a mixed state of ruin, as both time, and the bombs of war did them no favors. 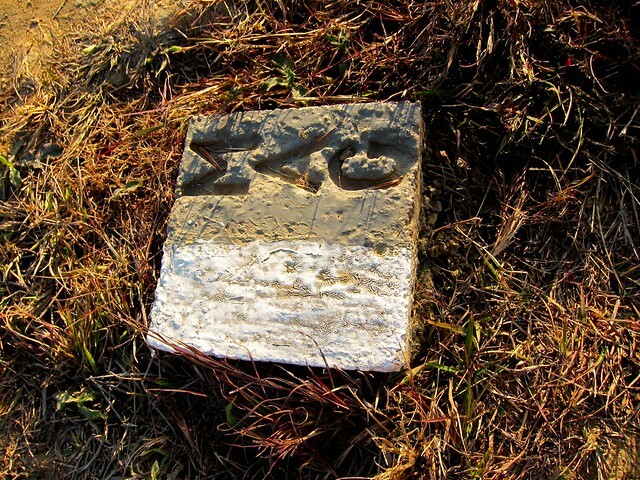 Sadly, these grounds were only cleared of UXO by MAG less than 10 years ago! As the sunlight dimmed over Phonsavan, we finished our day wandering the Plain. It provided a concluding backdrop to ponder all we saw that day, the purpose of these curious sculptures, and the ever-present tolls of war, which even these wonders of the world could not escape. (Below: me beside a bomb crater in the middle of the Plain of Jars!! 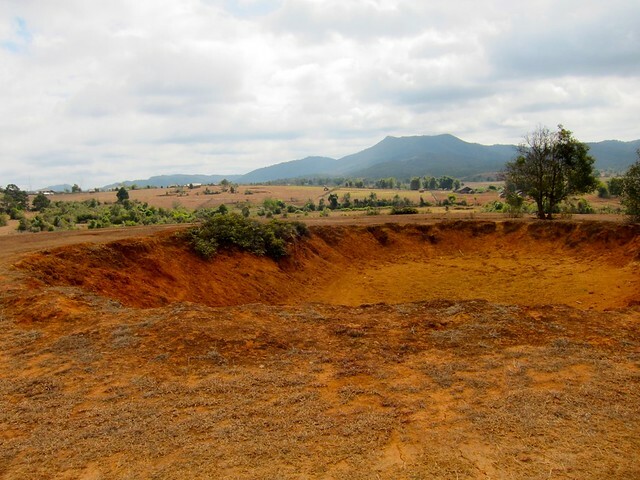 We bombed the Plain of Jars!?). We only stayed a couple of days in Phonsavan, but we probably would have had plenty to do for a week. As we’ve found many times on this trip, it’s often the places where tragedy meets resolve that touch us the most, bring meaning to why we’re here, and remind us that it’s not only the happiest places that deserve a visit. Amazing photos! You will be able to do an entire album full of just waterfalls!!! Beautiful! You can always tell if it’s me or Steph writing by the picture in the article title. This time it was me – thanks, glad you liked it.